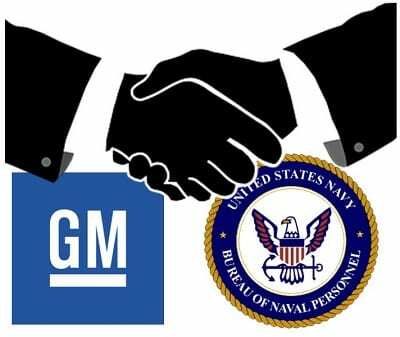 Automaker General Motors has teamed with the United States Navy to develop new hydrogen fuel cells that will be used to power underwater drones. The Office of Naval Research believes that fuel cells hold a great deal of promise. These energy systems generate electricity without producing harmful emissions, making them ideal for naval use. Fuel cells have also become quite popular in various sectors of the transportation space. They are being used to power a new generation of clean vehicles. General Motors has a great deal of experience with fuel cell technology. The company has been developing these energy systems for some time and has made strides in making this technology more efficient and increasing the performance of fuel cells. The automaker has praised the environmentally friendly nature of fuel cells and hydrogen. However, these energy systems have had trouble catching on in many industries. The U.S. military, in particular, has begun showing a great deal of interest in fuel cell technology in recent years. The Navy believes that underwater unmanned vehicles could be useful tools. Providing these vehicles with the energy they need is becoming an important focus, and fuel cells have caught the attention of the Office of Naval Research. Frank Herr, a department head for the Office of Naval Research, notes that hydrogen fuel cells are reliable, boast of high energy density, and are very effective in meeting energy needs. Whether or not the Navy will continue using fuel cells in the future is likely based on how well experimentations with the energy systems go. Over the past few years, General Motors has been involved in many fuel cell projects. One, called Project Driveway, involved delivering 119 fuel cell systems to Chevrolet, which were used to power new models of the automaker’s Equinox brand. General Motors has also partnered with the United States Army to develop and test new fuel cell vehicles.